"California Basics is dedicated to your health and your happiness. As we continually strive for your utmost satisfaction, we created an even better formulation of our original Zero for Him Vegan Supplement Capsules: the ultimate dietary fibre supplement designed by men, for men. 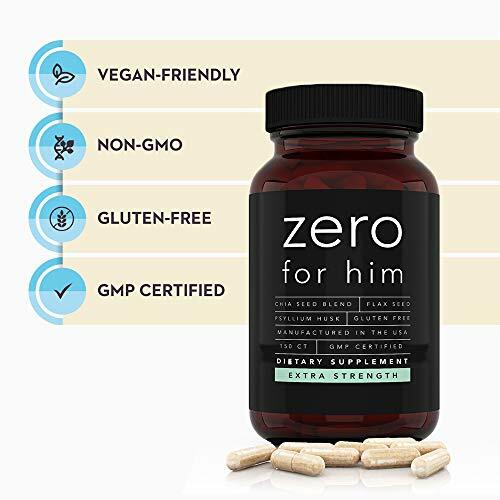 The new and improved Extra Strength Zero for Him still features our proprietary vegan friendly blend just that it's packed with more potent and pure cleanliness fiber supplement in every capsule plus it now has Aloe Extract. Formulated with even more pure fiber, you're not only healthier with regular number twos but most of all, you and your partner get to enjoy clearer cleaner and more blissful nighttime fun. With this amazing daily fiber supplement for men, you won't ever have to worry 'bout a thing--not your bun, not a messy bed and not even your vegan or vegetarian diet. The alpha male, the pure gay, the jock. or the queer you hold dear will surely love the Extra Strength Zero for Him Dietary Fiber Capsules for making your all-nighter playtime absolutely mess-free and more fun! 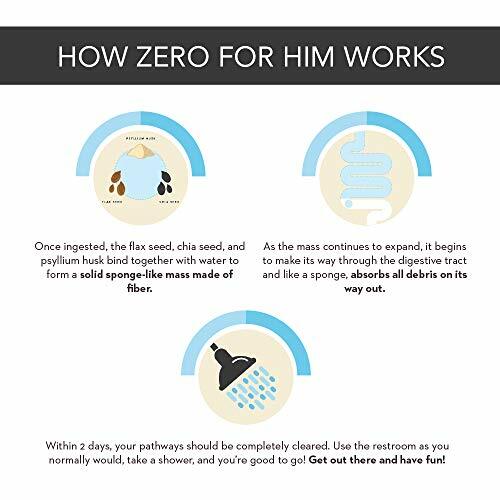 Stock up on the Zero for Him Extra Strength Dietary Fiber Pills now!"